Basic Color Theory introduces beginning artists to the elementary concepts related to the color wheel, color relationships, and incorporating color in artwork. Understanding how to effectively use color is the first step to becoming a well-rounded artist. Special Subjects: Basic Color theory is your guide. 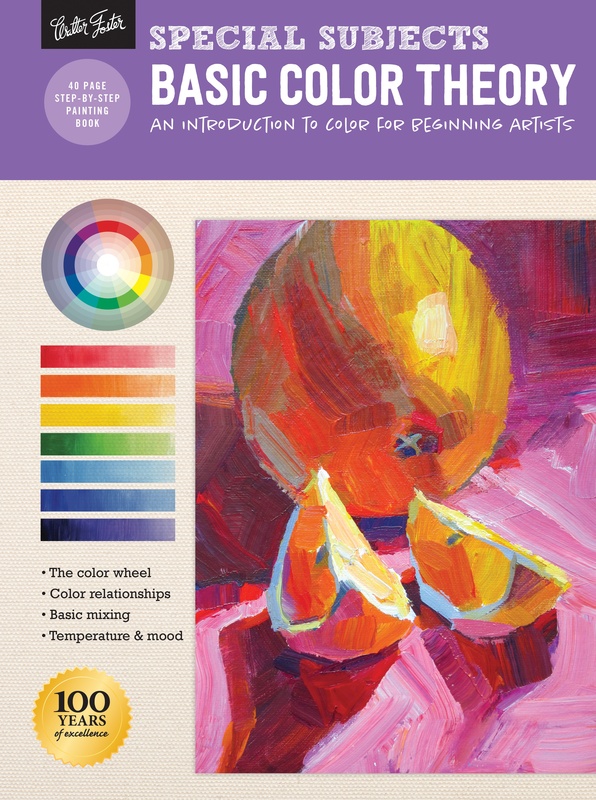 A perfect resource for new artists and art hobbyists, Basic Color Theory demonstrates the color wheel at work and covers all the essentials, including complementary, primary, secondary, and tertiary colors; hue, saturation, and value; color mood, temperature, and schemes; and how to create a color chart. Each concept is clearly explained in easy-to-comprehend language so beginning artists can put their newfound knowledge to immediate use. Also included are step-by-step tutorials, as well as techniques for basic color mixing in different mediums.Designed for beginners, the How to Draw & Paint series offers an easy-to-follow guide that introduces artists to basic tools and materials and includes simple step-by-step lessons for a variety of projects suitable for the aspiring artist. Basic Color Theory allows artists to widen the scope of their abilities, demonstrating how to create color and value charts, basic color mixing techniques, and a comprehensive approach to understanding color relationships.